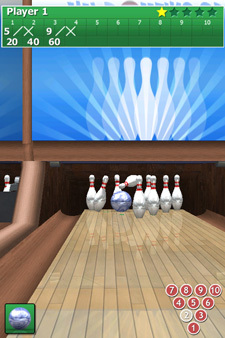 My Bowling 3D is a ten-pin bowling game using rigid-body physics and full 3D environments. 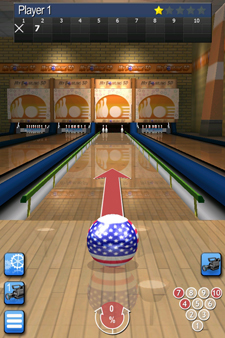 It is an incredibly realistic bowling simulation which allows you to do fancy curve shots and everything. 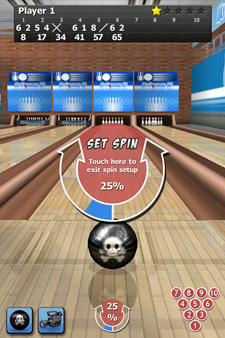 It features custom ball designs, five different locations and a very simple 'flick' interface for rolling the ball. 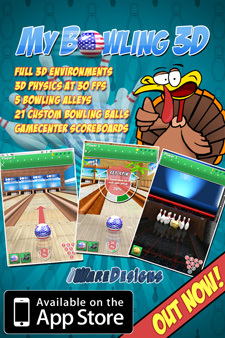 I produced all the 2D and 3D graphics for this project. 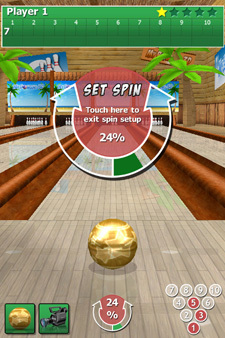 For the Android release of MyBowling3D we decided to give the interface and HUD graphics a refresh. 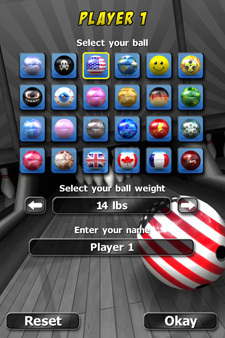 This brings the style more in line with our Pro Snooker and Pro Pool titles. 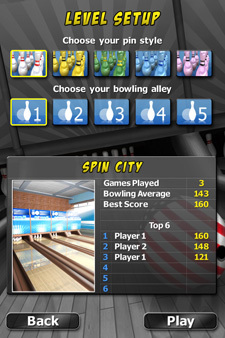 The new style was then ported back over to iOS. 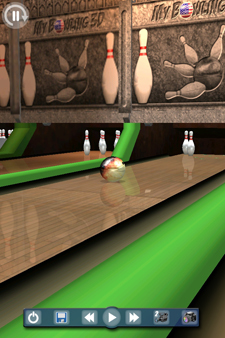 (new screen shots below). 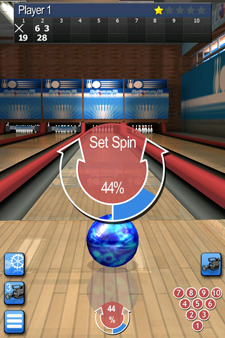 In 2015 we updated MyBowling again. 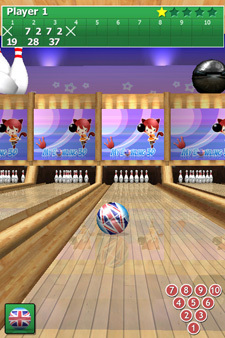 The existing five environments were re-rendered with baked lighting and five new environments were added in the same style. 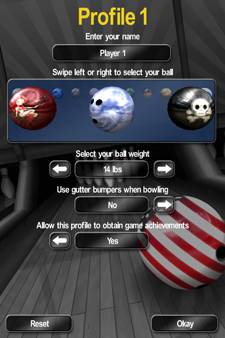 A suite of new balls and pins were added along with new ball, profile and level setup screens. 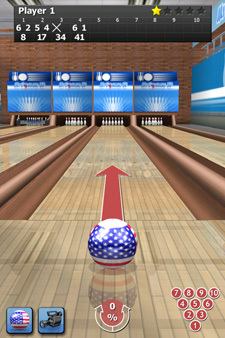 An option to play with Gutter Bumpers was added and the phsyics settings were tweaked to give more realistic pin movement.